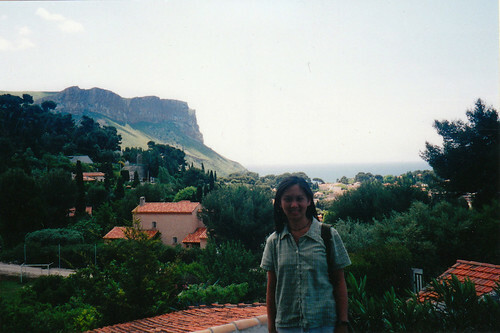 I had arrived at Cassis by train from Marseille Saint-Charles. It was barely 10 am on a clear June day, so the 3-kilometer walk to town shouldn't be that difficult. The sun sprinkled the treetops with a silvery shimmer; the breeze gently flounced the branches that bore its waltzing leaves. With a picture-perfect start, I began my march past lush olive groves and sunblasted stone cottages along the Avenue des Albizzi. 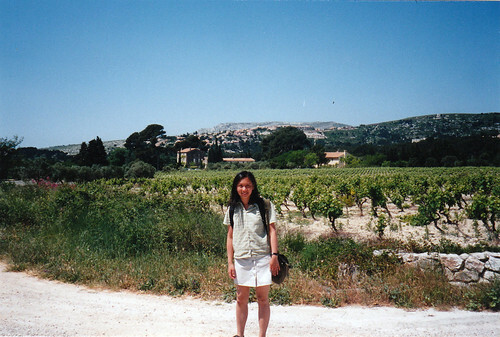 Many times, I was tempted to hitch a ride into town, but decided that a leisurely trek might prove to be more rewarding. I was damn right! I followed the rock-slab walls of Rue Auguste Favier to descended upon the residential Avenue Joseph Laiutaud, where I exploit the breaks in between swaying pine trees. Europe's highest maritime bluff, the Cap Canaille, reared its head in the crevasses and sent shivers down my spine. Granted, it was not the same vantage point from which the Impressionist painter, Paul Signac, had painted from, but it did the trick. 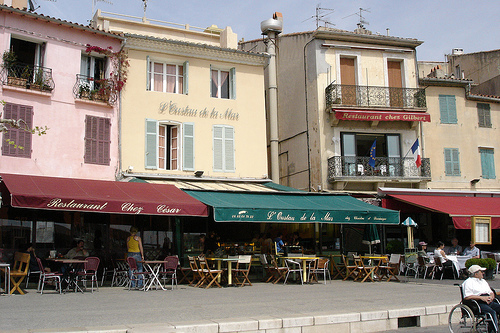 Spotting the stores on Avenue Victor Hugo, I realized that I finally entered the centre of Cassis. I made mental notes to revisit this shopping street for some chocolates and biscuits at La Cure Gourmand and Italian-style ice at Amorino later on. 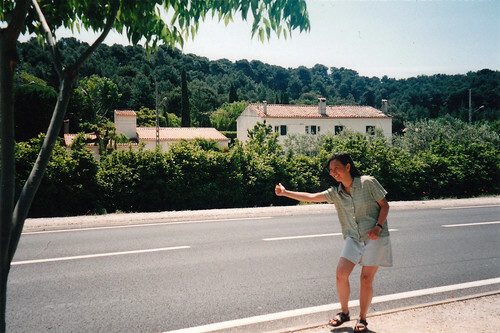 When I came to a fork at the end of the road, I had to decide whether to head for the beach on Quai Saint-Pierre or to lunch at Quai des Baux. I opted for a meal and a seat by the port, surrounded by pastel houses with patinas that can make one "ooh" and "aah". 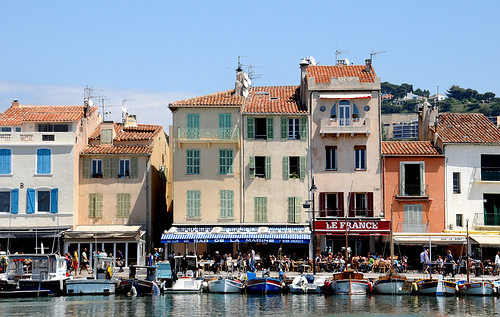 When lunch is done - but I was certainly not in a hurry - I thought of joining a charter boat tour of the calanques, those inlets of jagged limestone cliffs that span the coast from Marseille to Cassis. 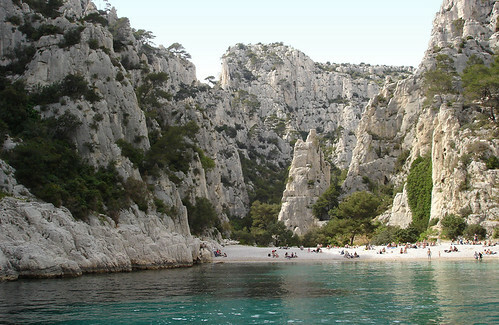 My itinerary was jam-packed: an hour for lunch; an hour for kicking back on the beach; another 65 minutes for a tour of 5 calanques (there are tours for 3, 5 or 8 inlets); followed by a stroll around town; and finally, dinner of the freshest seafood, before heading back for some much needed rest. Admittedly, I crammed a lot in one day. But what can I say? 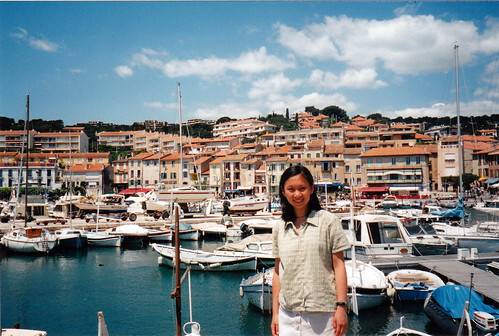 It was one of those brilliant moments I had in the South of France.